A functional appliance is a removable brace that works on the upper and lower teeth at the same time. There are a number of functional appliances that can be used. We mainly use the Twin Block appliance. Twin Block appliances are used in the growth phase to treat an underdeveloped lower jaw. 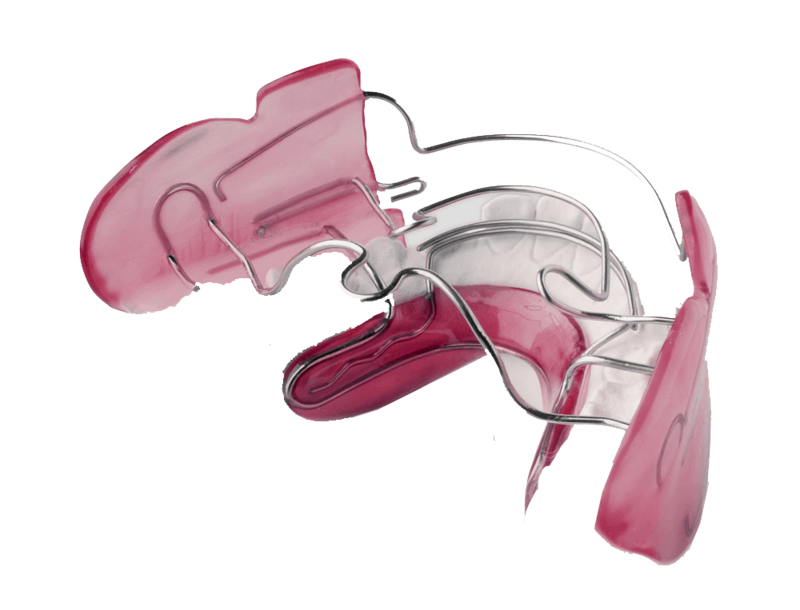 It is usually a ‘phase 1’ type appliance and is followed by fixed braces (phase 2) or a retainer. The Twin Block appliances are made from acrylic using two plastic blocks on the top jaw and two on the bottom jaw. The appliance postures a patient’s lower jaw into a forward position on closing their mouth. The forces of occlusion are used as the functional mechanism to correct the malocclusion and aid lower jaw growth. The Twin Block is a removable functional appliance worn full-time for 9-12 months. Mainly the upper and occasionally the lower plate may include an expansion screw to widen the arch. 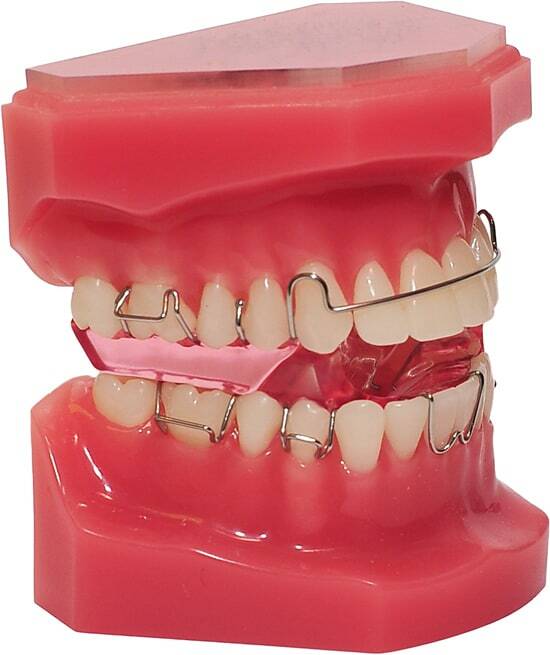 We have been providing Functional Braces to hundreds of happy clients who are enjoying a more confident smile now. Call us now to see if you are suitable for a Functional Brace. 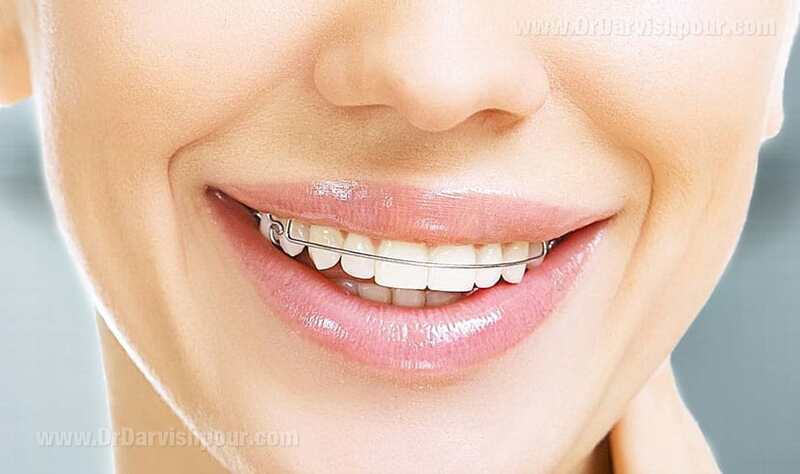 Wearing Guidelines – Try to wear your braces all the time. Taking them out to eat until you get used to them will not harm your treatment and your bite will still improve but treatment will be delayed. Sports –It is best to take the braces out when playing sports. You can keep the brace safe by placing it in a brace box. Remember to put your name on your brace box. What is an overjet? – Your top teeth should be in front of your bottom teeth by 2-4mm. This is the ideal overjet. Denton Orthodontic centre have made a dramatic difference to my daughters confidence. Thank you for your patience! To the lovely ladies and Dr Basil, Thank-you for making my teeth straight and for being so professional and always fitting me in and for all your friendly faces!